Valentine’s Day is undoubtedly the most romantic holiday and a perfect occasion to show all the people you love that you care for them. However, “I Love You” can be best said if you put in your efforts to make a home made card for that special someone. You can make a creative Valentine’s card in many different ways. The first thing needed is your card’s base. You may go in for red construction paper, white computer paper, or any other suitable material of your choice. The easiest way will be to fold the chosen paper into half and draw onto it what seems like the half of the shape of a heart. Cut the paper along the edges of this heart. After this, unfold the paper to get a card that is heart shaped, and is ready for decoration. You may also trace the shape of a heart on the chosen paper alternatively and cut the same with a craft scissors. You may use a pair of scissors that cut the edges in a design to give the card a neat as well as designer look. There are many options available on how to decorate your card. A basic method will be to stick on heart shaped stickers on the card. There are many local craft stores where such stickers will be easily available. You may even make a differently colored smaller heart and attach it onto the main one using glue. After this, decorating the smaller card will be sufficient. You may even use a fabric that is pink or red colored instead of using the conventional paper for the smaller heart. 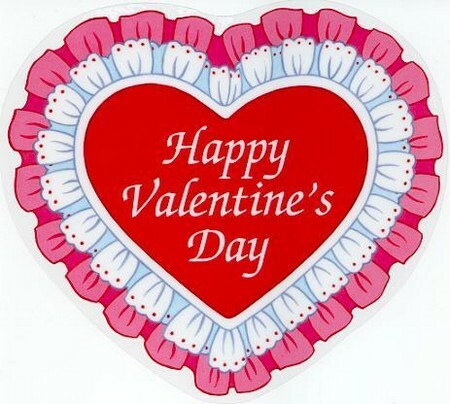 A very sweet piece of decoration for your Valentine’s Day card is lace ribbon. Just turn over the card and paste the ribbon on the edges. Once you turn the card to it’s original position, it will look very beautiful. The lace will enhance the specialness of the card. When you write a message onto the card, you have the option of using any standard pen or pencil. But a much better option will be to make use of permanent markers or craft pens for these will be distinct and beautiful. Make your message sweet and simple in the form of a poem, or even a plain “I Love You”. In case you are mailing your Valentine’s Day card, then purchase a large envelope from any craft store. Go ahead and adorn even the envelope to suit the card inside. Keep in mind these simple steps and your Valentine is surely going to love and adore you Valentine’s Day card.